Hey there, we’ll we’ve had our caffeinated celebration after hitting 1000 cups of coffee, then a week of detox, then a quick flurry when Coffee|Served Daily was featured on the WordPress homepage, Freshly Pressed (thanks everyone for your wonderful comments, proof that coffee is loved by many). Now it’s time to transition to something new. 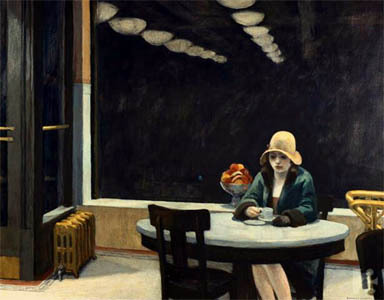 By the way, the image above is by one of my favorite artists, Edward Hopper. Automat, 1927, Des Moines Art Center, Iowa. She’s already over at the new blog, along with a few friends. Hope to see you there. Well, here we are at 1000 cups of coffee. We made it! 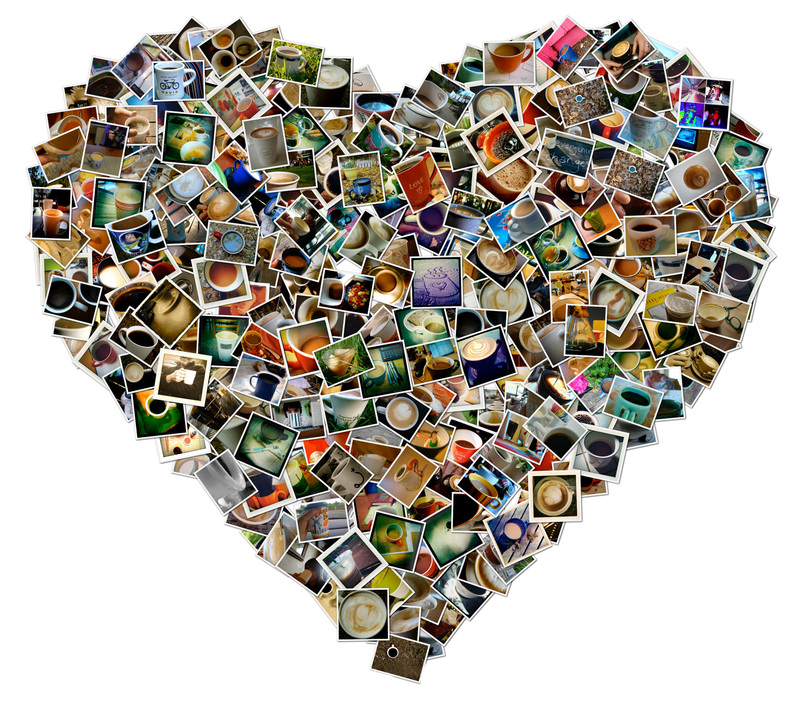 This mosaic was created out of the photos I took along the way, all 300 of them (this may be obvious, but click on the photo to enlarge it). Feel free to use it and share it, wherever good coffee is appreciated. 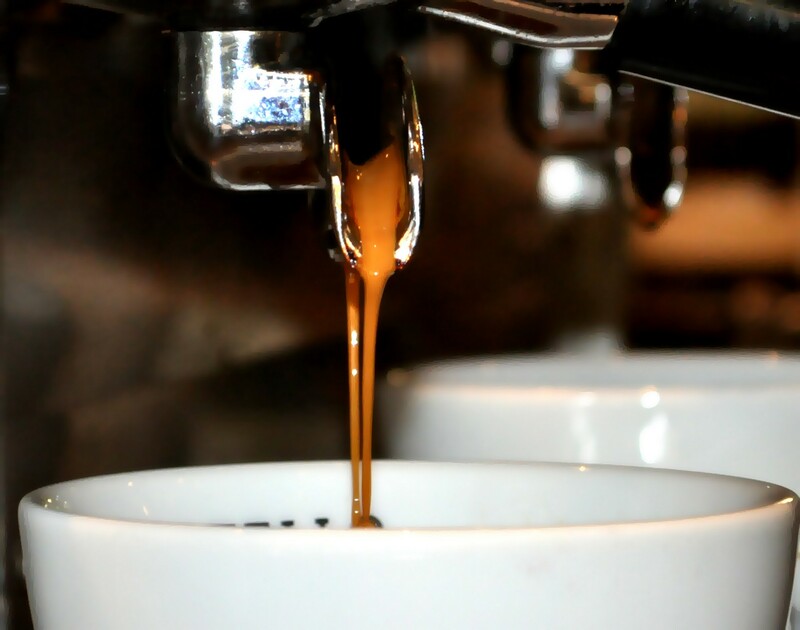 Coffee|Served Daily began as a small idea and morphed into an opportunity to connect, caffeinate and create. Clearly I had no idea what I had signed up for, even if it was just in my imagination. I envisioned a project that would enable me to stay connected to a few friends who love coffee and photography. I suspected there were five of us. My friends played along, and then 99 other new caffeinated friends joined in. From all over the world: China, Finland, Italy, Monaco, Germany, England, Malta, Vietnam, Azerbaijan, France, Hong Kong, Turkey, Denmark, Portugal, Iceland, Israel, Australia, Canada, Singapore, South Korea, Africa, India, Thailand, Lebanon, Bulgaria and the Czech Republic! And every corner of the U.S. And my own town of Davis, California, and all neighboring Sacramento. 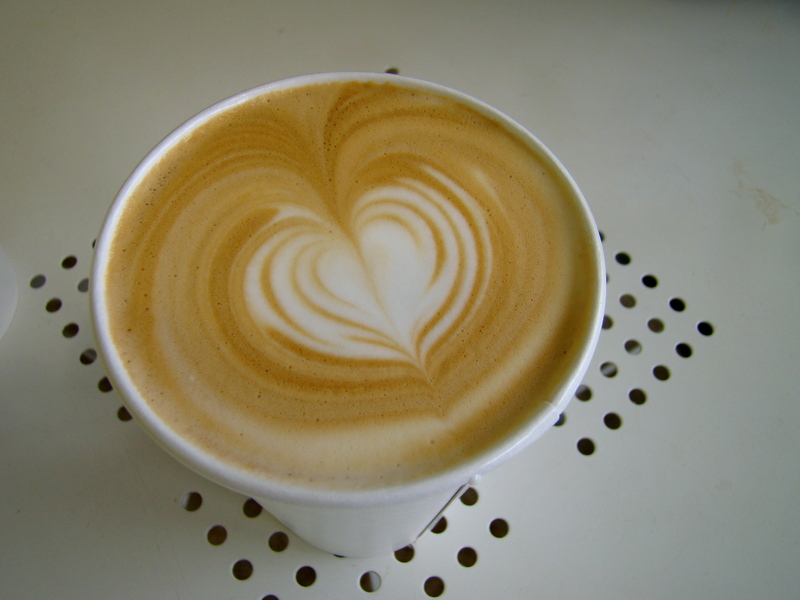 Almost every day coffee photos would show up in my email. Sometimes coffee beans showed up in my real mail (Kathleen!). A Chemex coffee pot (Ann! ), a few stellar coffee mugs and artwork, too (Dorothy!). I can make it for the long haul. I thought this would take a year. It took almost 16 months. And I didn’t give up (though I did threaten several times). There is always a new way to see an everyday object. This was probably the biggest lesson for me. 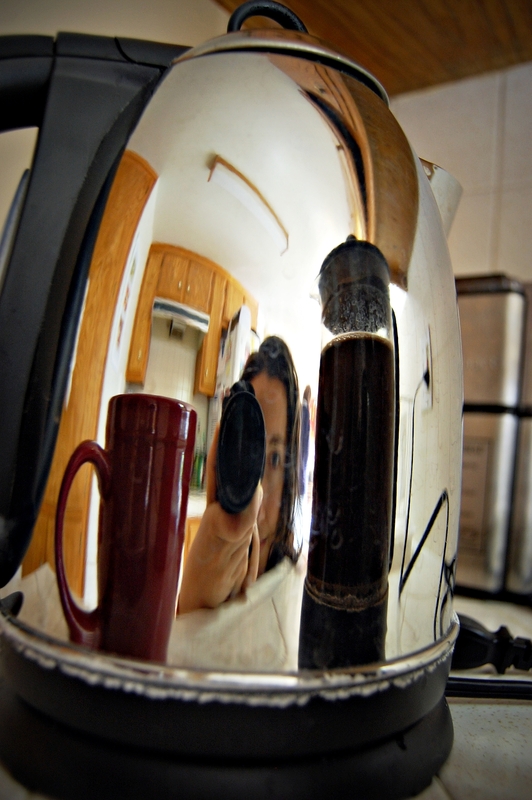 I took about 300 of the 1000 shots myself, and while I did cheat some, it required that I position my coffee in new light, in a new angle, in a new context. Sometimes I was certain this would be an exercise in futility, and then somehow I discovered a new iPhone app, a forgotten mug, or a hidden corner in my kitchen and backyard, and was able to muster up one more shot. Patience pays. I tried to queue up my shots a week ahead, but sometimes the well ran dry, and I was certain no one would ever contribute again. And just that moment, a fabulous photo, with an even more fabulous story, would pop into my email. How cool was that? Sometimes you have to hand it over. Before I hit 500, I was burning out, and my daughter, Kate, took over and created the Chroma Cafe. I let go (reluctantly), and then she did what she’s been doing for 24 years, she blew me away with her artful vision and execution. Things change. I had many ideas about what I would do here, and I didn’t do any of them. I thought I’d write about the coffee farmers and roasters, a piece on the homeless and coffee, and so much more on signage and branding. There were going to be t shirts and mugs. I did take an espresso tasting class, I created a few coffee events, and I met so many awesome people, whom I may actually get to meet in real life someday. Also, if you go back to the beginning, you’ll see how the photos themselves have changed. At first they were about the mugs, but they slowly evolved to being about the coffee. Some people showed up and were active and then they moved on. 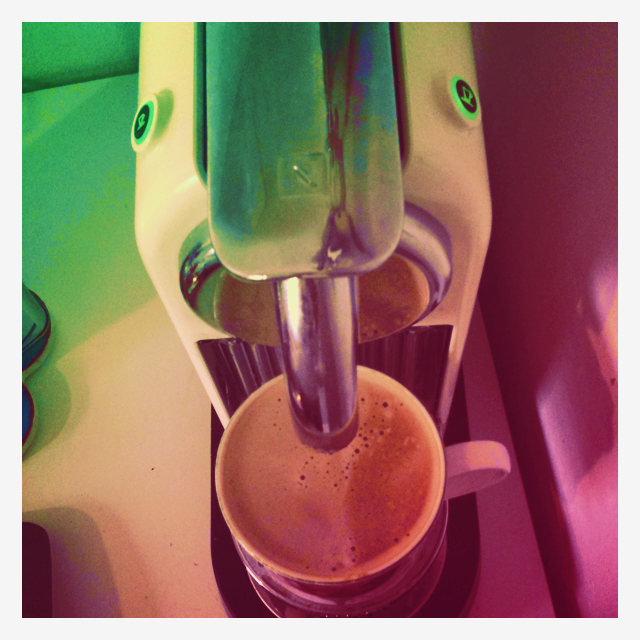 And with every change, the coffee just got better and better. Coffee connects. Over and over, contributors, readers and friends confirmed this. 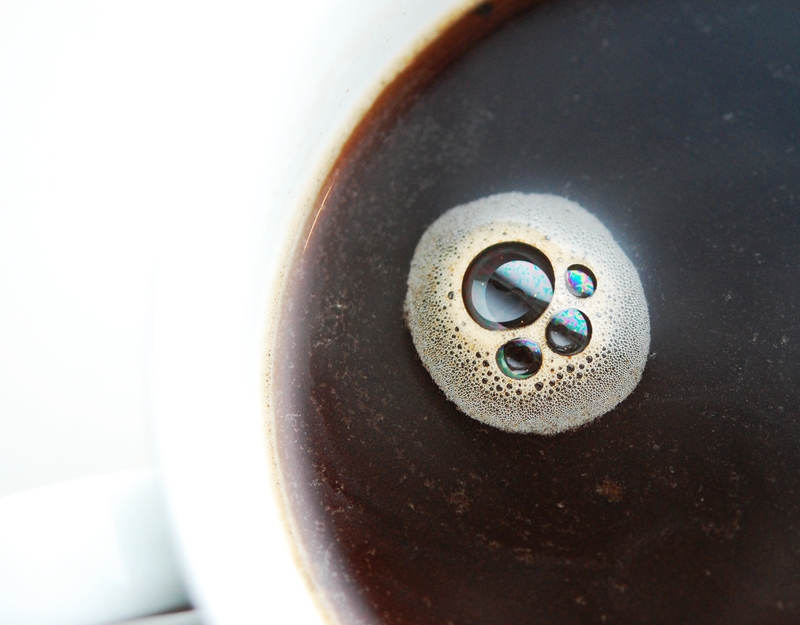 Coffee is a connector on so many levels. It’s a ritual shared around the world. 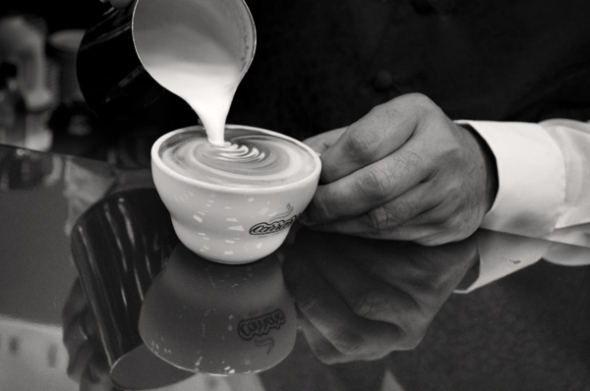 Those of us who love coffee see the nuances and beauty in every cup, in so many different ways. Good coffee makes a difference. As expensive as coffee is, we don’t pay enough for it. The farmers grow and harvest our precious coffee at a great personal sacrifice, and we should be paying more. So let’s at least be grateful and appreciate a great cup. And that’s all I have. Thank you for showing up here, for enjoying the coffee and stories, for playing along. I have a new scheme underway, and hope to be ready to share it next week. 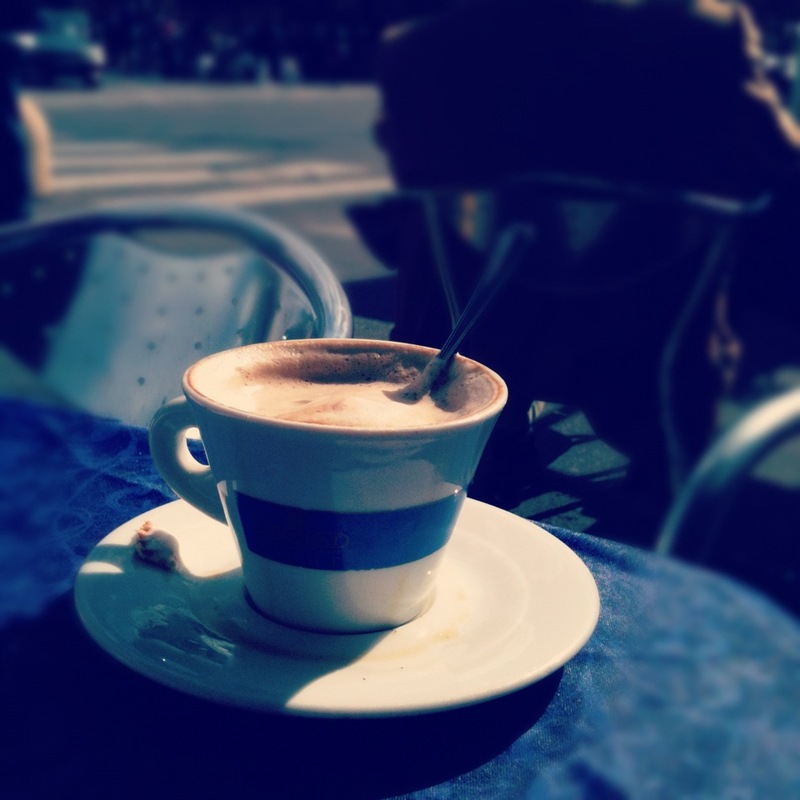 It’s also caffeinated, so keep drinking and photographing your coffee. And if you start a contributor’s blog of your own, count me in. It’s been awesome. But now, I need to open a bottle of wine. May 1 Update: Thanks for all of the wonderful comments. 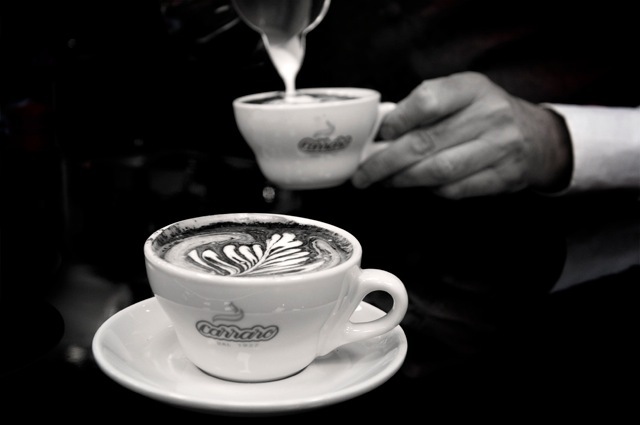 It’s great to see so many people loving coffee and a project completed! 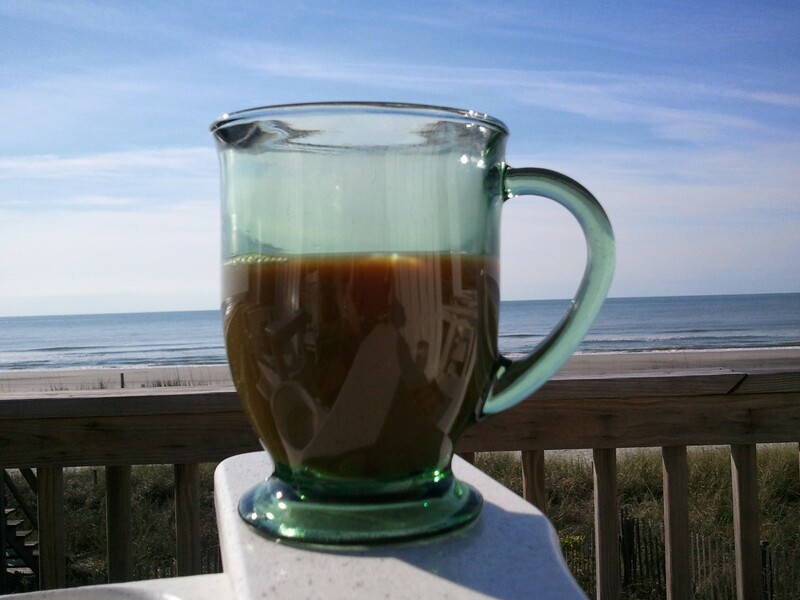 The new blog is now open, Caffeinated|By Design, where I attempt to connect the dots between coffee, design, art and perhaps the promise of painted elephants. Come visit! 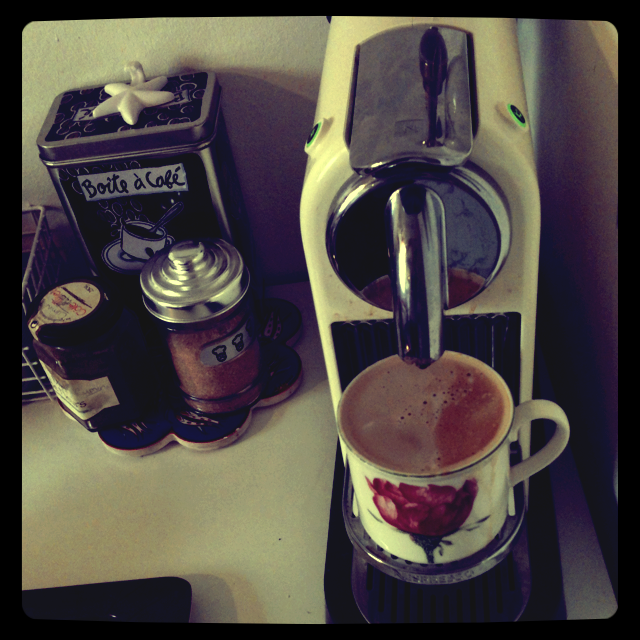 And by all means, I will continue to provide a good home for your wonderful coffee photos. We all know 1000 is coming, but I am just not quite ready to close up shop. 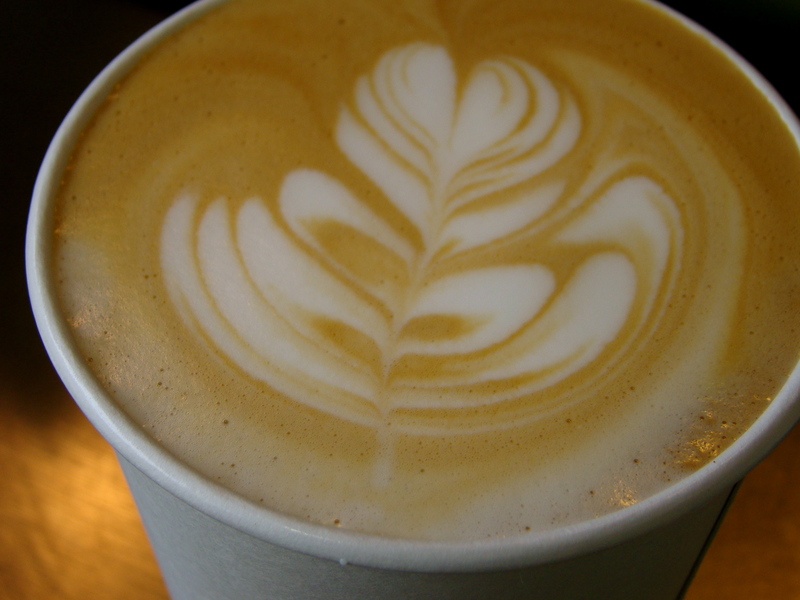 Plus, I had an incredible cup of coffee on my trip to Portland, Oregon this week that really deserved to be documented. 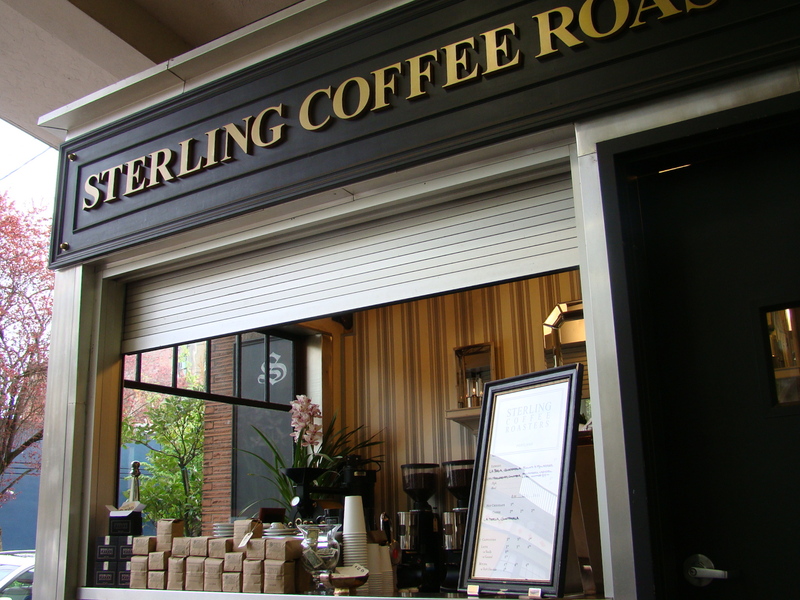 This was from a delightful and delicious kiosk (well, the kiosk was delightful and the coffee was delicious) called Sterling Coffee Roasters. If you’re in the Alphabet District, seek them out. It will make you happy, and delightful, and most definitely delicious. And tomorrow…1000. We’re on the home stretch to coffee cup 1000, and we’re celebrating with some of our favorite contributors. My caffeinated friends have made this journey more fun than I ever could have imagined. Thank you for joining me, all of you. 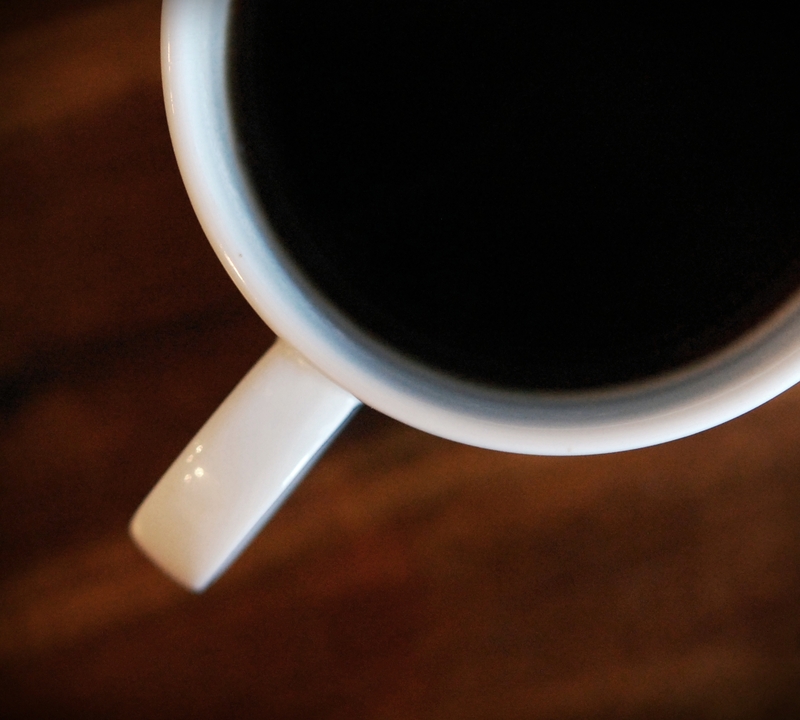 I owe each of you a favor, or five…think about it and we’ll talk about it over a cup of coffee. Espresso Nectar from Jussi Laitinen, Helsinki, Finland. Jussi has been contributing since the beginning and has brought us 13 cups, mostly from Finland and Copenhagen (numbers 205, 224, 249, 257, 258, 341, 397, 517, 610, 741, 890, 917 and 918). Every time I get a photo from him, I feel like I am on holiday. 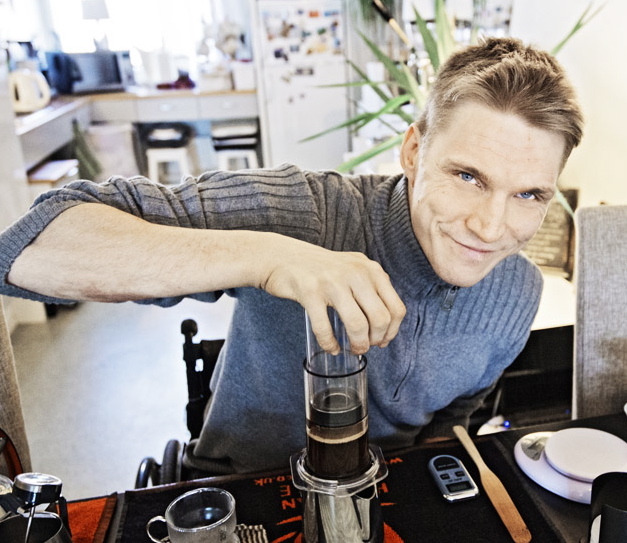 Jussi claims to be a home barista, but I suspect his skills go beyond the kitchen. He blogs (in Finnish) at nonsesopedia. Jussi, thank you…and when you’re ready to spend the winter with some sunshine, I’ll be delighted to welcome you to California. 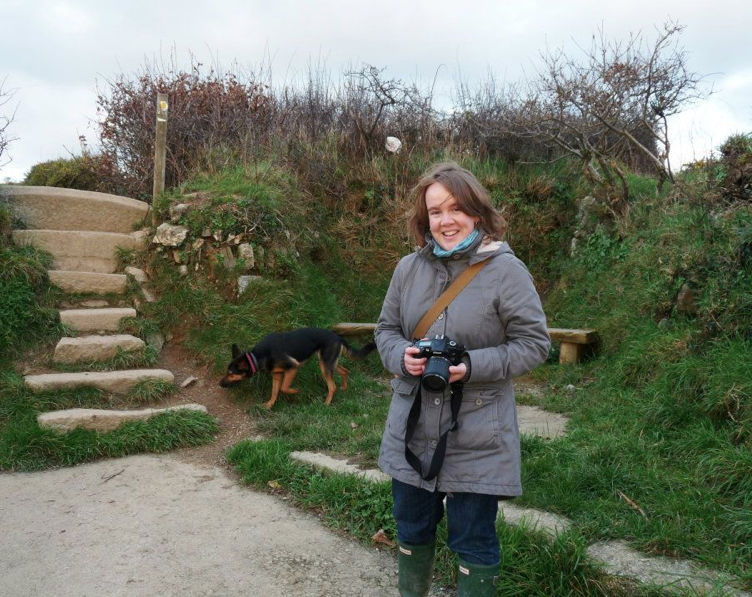 Sally Mitchell, Cornwall, UK. Sally is also a designer and her studio Design Room Cornwall Ltd. She’s contributed 17 cups of coffee (numbers 267, 646, 647, 688,724, 726-730 (London Calling series), 78o, 862, 882, 913, 937, 946, 947, 969. ) She also sends me other coffee-designy things, which usually find their way here. Sally is a wonderful photographer and to get a view of her life, check out her Project 365 blog here. Sally, before you, I thought of England as tea or beer. Forever changed, in a good way! Tonya Russ Price, Charlotte, NC. 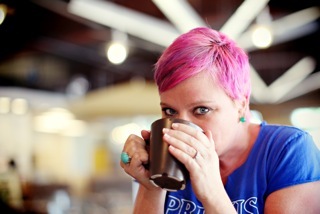 Tonya showed up early on, with her pink hair, blue nails and black coffee, and just kept on playing. She’s contributed 64 (that’s 64!) photos numbers 218, 219, 220, 221, 222, 235, 236, 237,238,241,252,306, 317, 318, 319, 342 , 375 (which is actually a 13 photo bonus pack), 377, 381, 383, 405,406, 449, 555 ,557, 580, 581, 582, 608, 704, 719-723 (Portugal series), 736, 737, 750, 751. 774, 775, 861, 870, 901-906 (Coffeemakers::The People), 928, 960, 986). Tonya’s been a great email buddy and has invited several others to play with us. Thank you Tonya, for your great photos and good humor, and for getting it. And please, come visit in California. There is a bottle of wine calling your name. Actually, a few of them. Tonya is a wedding photographer with two blogs, Poprock Photography (weddings) and Biscuit Fan Club (food). And I pretty much guarantee that she’s more fun than the rest of us. Quinn Pendleton, Monte Carlo, Monaco. I don’t even remember when I met Quinn, but our blog friendship has been one of the great delights and surprises of this project. Quinn has contributed 46 cups of coffee, from all over the world (numbers 211, 212, 232, 233, 270–275 (Roman Holiday series), 310, 311, 431, 438, 439, 505, 506, 507, 508,513, 519, 520, 530, 550, 553, 570, 572 573, 621, 622, 623, 651, 652, 653, 654, 655, 656, 686, 745,746, 747, 757,783, 793, 847, 926, 927) She travels with Les Ballets de Monte-Carlo (and her dashing boyfriend, Ediz) and seems to find a perfect cup of coffee at every stop. We’ve been with her to Paris, Rome, Turkey, Syria and Hong Kong. And of course, her balcony patio in Monaco. Sigh. Quinn blogs about her travels and life as a dancer with Les Ballets de Monte-Carlo here. 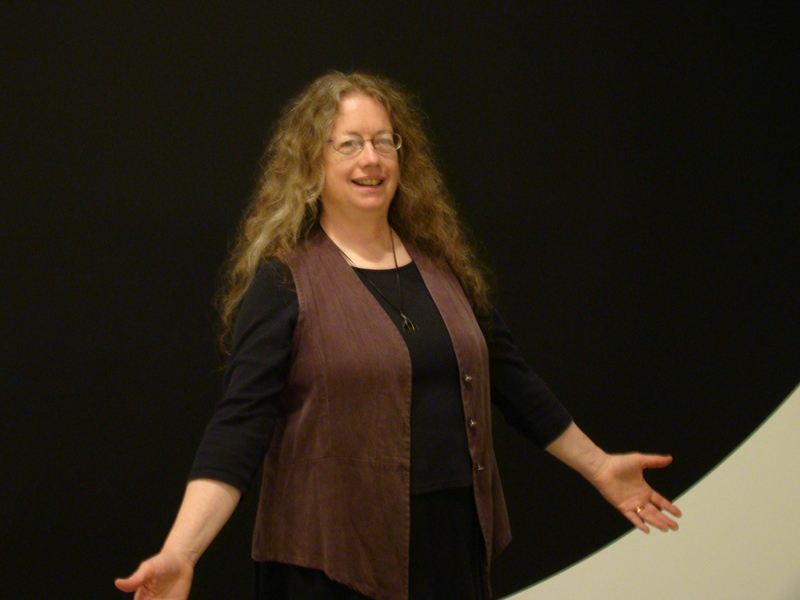 Kathleen Fitzgerald, Eugene, Oregon. 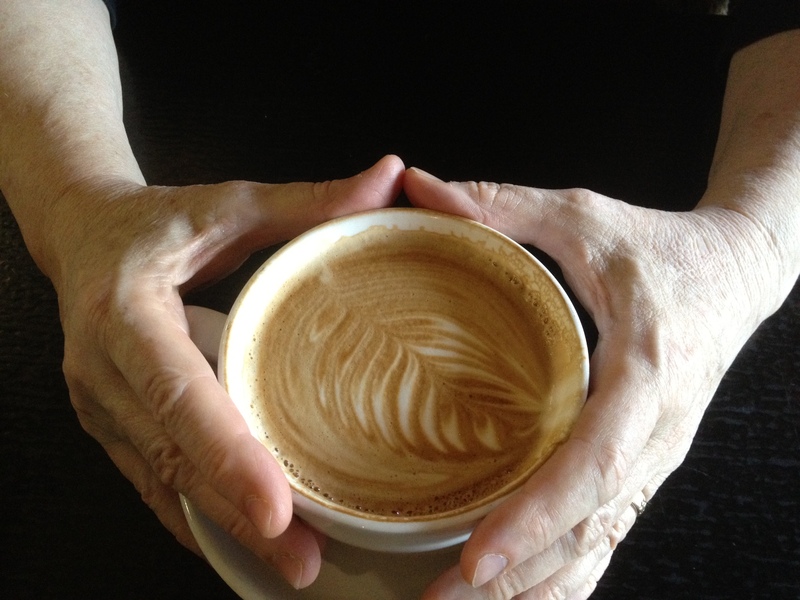 I know these are Kathleen’s hands, and her coffee, but I suspect it was my daughter Kate who took the picture (because while Kathleen is spectacular, she really only has two hands). Kathleen is Brendan’s mom. Brendan is Kate’s boyfriend. Kathleen loves good coffee. And wine. And Kate. And the two of us have become friends over email, Facebook, coffee and our offspring. Kathleen has contributed 16 cups (and has been my real life companion for at least that many), numbers 20, 44, 176,177, 239, 386, 418, 574. 575, 589, 640, 642, 669, 692, 929, 930. Looking forward to many, many more cups with you, my friend. Reina Engle-Stone, Davis, CA. Reina was one of the first contributors, and has brought 22 beautiful coffee cups to us (numbers 16, 27 , 30 ,71 , 142, 146,185, 327, 351, 352, 353, 368, 398, 399, 428, 661, 883–888, and 893). Reina is a UC Davis grad student, and though I met her through Flickr, we did meet for coffee in real life (and yes, we both had our cameras). Her photos are lovely…she just gets a little closer than the rest of us. Reina’s Flickr page is here. 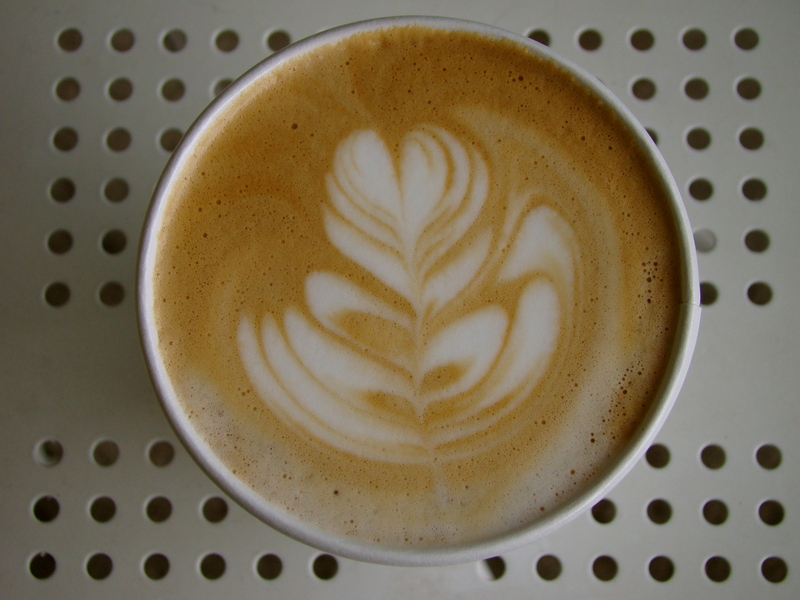 Today’s coffee is from Kate Barbaria, my oldest daughter. Kate is my muse and one of my favorite coffee companions. She lived in Vancouver, BC for most of this project, which was quite handy for caffeinated correspondence. Many of my own favorite photos were of her, and she’s contributed 19 of her own. (Number 430, 638, 639,742, 743, 748 , 766- 770, 785, 827, 828, 894, 931, 932, 961, 962). 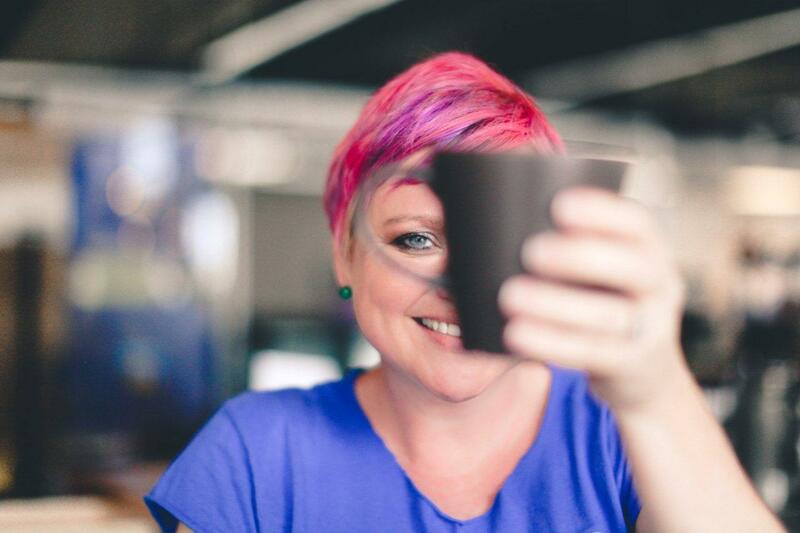 Kate also curated the Chroma Cafe (numbers 450–500), to celebrate coffee cup 500. 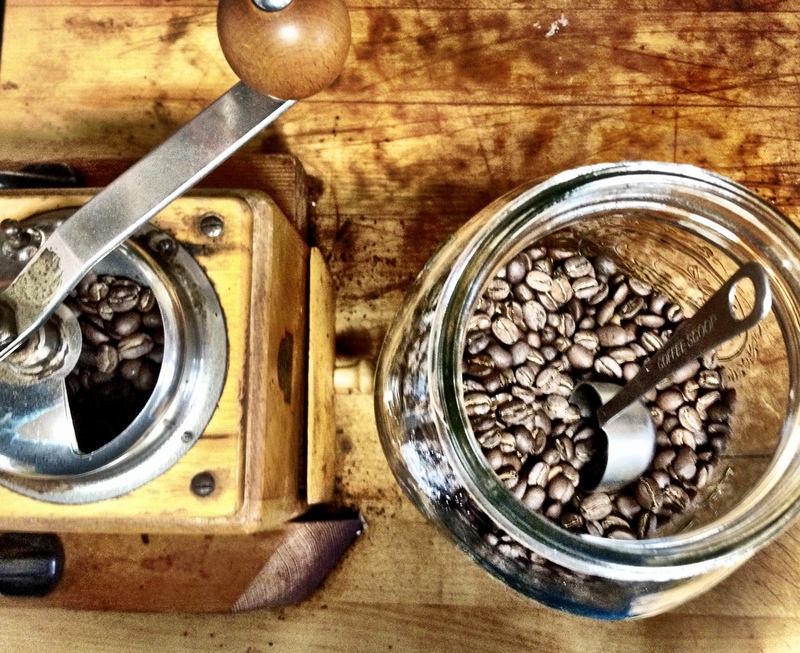 Kate is in Eugene, Oregon for a few months, and I believe this is Kathleen’s coffee bean grinder. I think Kate described it to me the first time she met her boyfriend’s parents (this may have been what made Kate sure that Kathleen and I would become friends). Kate is an artist, an equestrian, and a swell daughter.